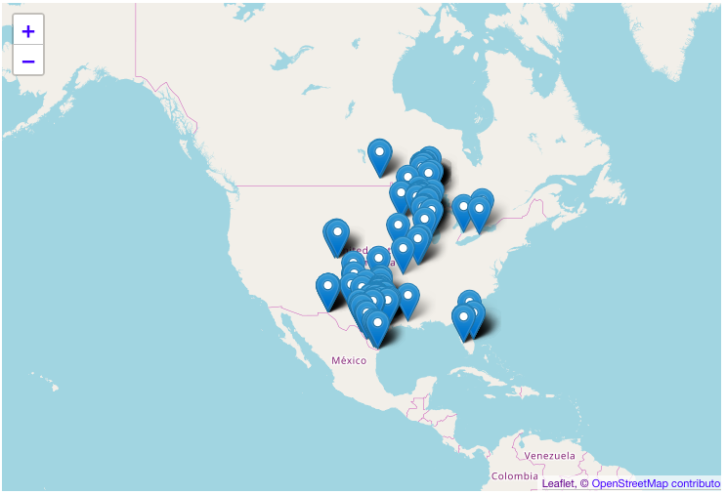 In my previous blog entry about the difficulty of finding a Canadian flag, I had to go to around a dozen places, including Canadian Walmart, in my search for a flag. 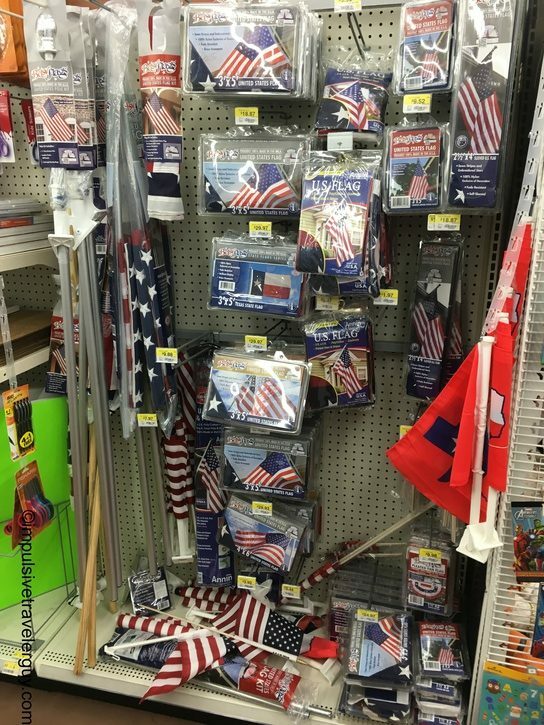 Walmart Canada didn’t have a Canadian flag, but Walmart USA has tons of American flags. I already own an American flag so I don’t need to buy another one at the moment, but I guess instead of me seeking one out, the flags sought me out as I was walking through the aisles. There was definitely a big selection, even being this far from the 4th of July. 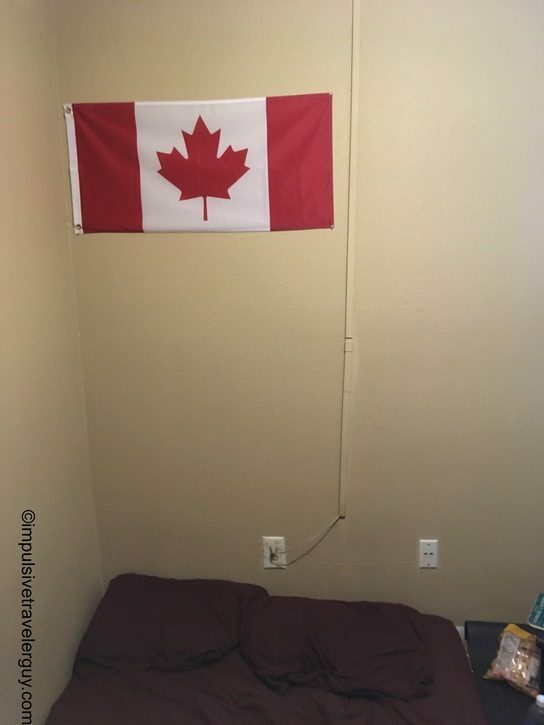 …and my Canadian flag above my “bed” (aka futon mattress on the floor). I just find it kind of funny how I had to put so much effort into finding a Canadian flag in Canada, but walking around in the US at Walmart while not even seeking out a flag, I accidently run into the aisle that has them. 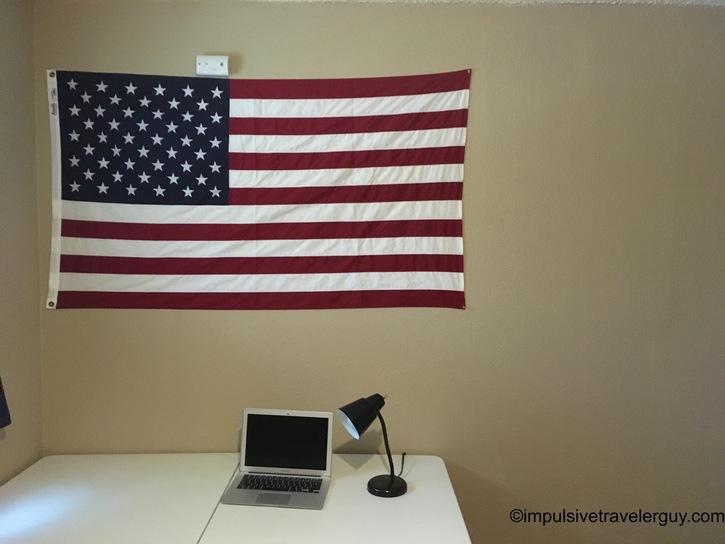 Either way, I’m glad I have a flag of the country I was born in and love and also the country I love to visit.